We are excited to soon be “back on the road”! 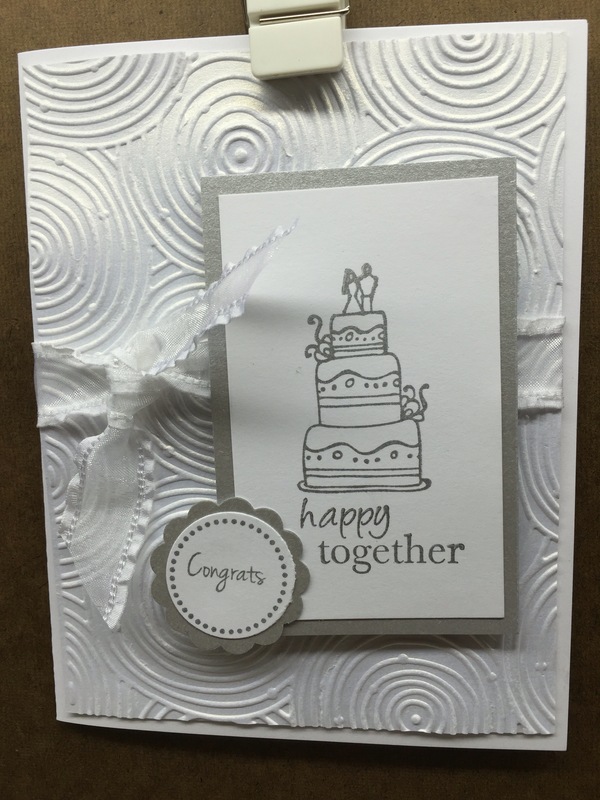 We have added some cards to the Make n Takes…a graduation, wedding, and baby. Today’s card is the Wedding.